Here comes my third day Quote in this 3 days Quote challenge. 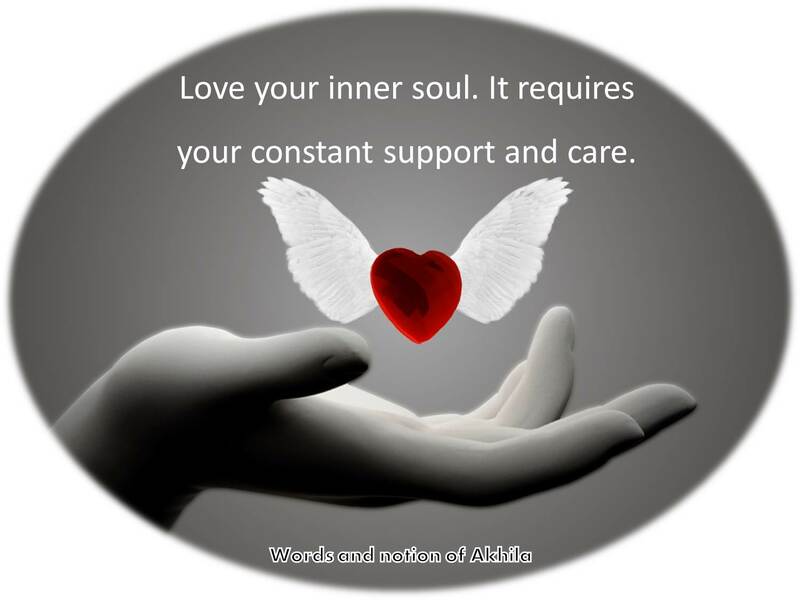 Categories: Quotes | Tags: care, constant, inner, Love, soul, support | Permalink. thank you Sumit..and I know that you will love it..
thanks Shalini..after a long gap.. glad to meet you again.. how was the exams..? my pleasure, ma’am! Akhila, so true, a healthy, only a well nourished & cherished soul would move the being forward in the positive direction! Yes 🙂 This is the secret behind everyone happiness! yes, of course it is your name.. thanks dear..